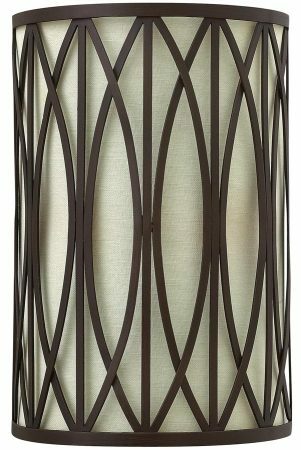 The Hinkley Walden 2 light wall light in Victorian bronze finish with linen shade combines repeating curves and straight lines to create an elegant pattern with timeless allure. With flush wall mount and half-round curved geometric patterned outer frame, inset with an inner off-white linen shade for a softer light. Finding inspiration for a modern interior can be a daunting task. 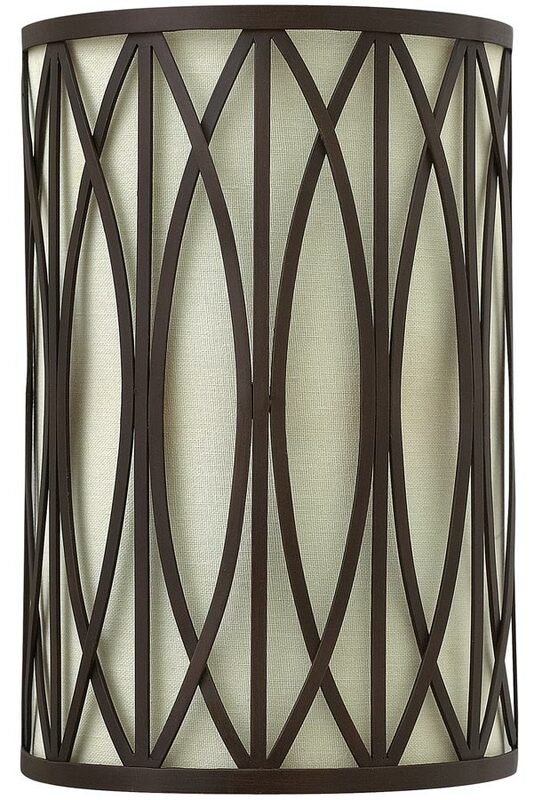 The Walden lighting collection brings together modern materials and contemporary styling in one sensational package. Fantastic for any hallway, living room or dining room wall. Designed in the USA by Hinkley Lighting, founded in 1922 in Cleveland, Ohio. Their long heritage combines with a pursuit of innovative design to create modern and contemporary lighting such as the Walden 2 light wall light in Victorian bronze finish with linen shade featured here.